area. 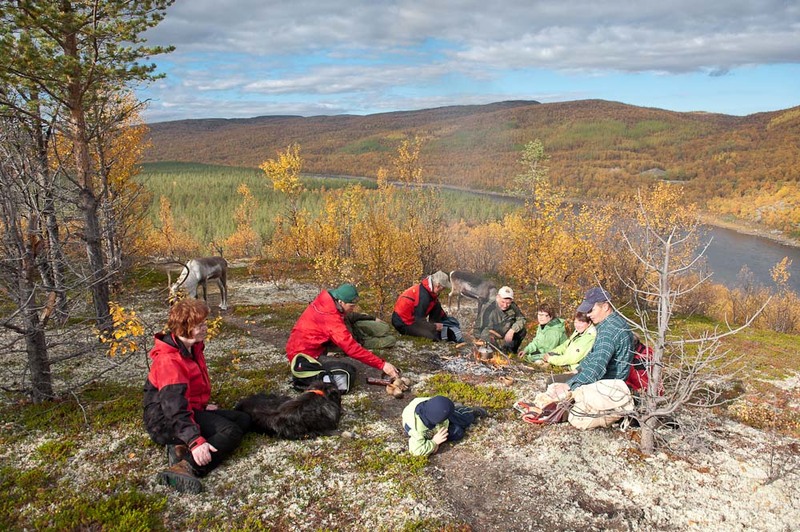 In summer, Utsjoki has the lengthiest period of the Midnight Sun. There are three “Ailigas” – “holy fells” In the municipality, of which one raises its lofty peak in the vicinity of the village. You will arrive at the Ivalo airport. 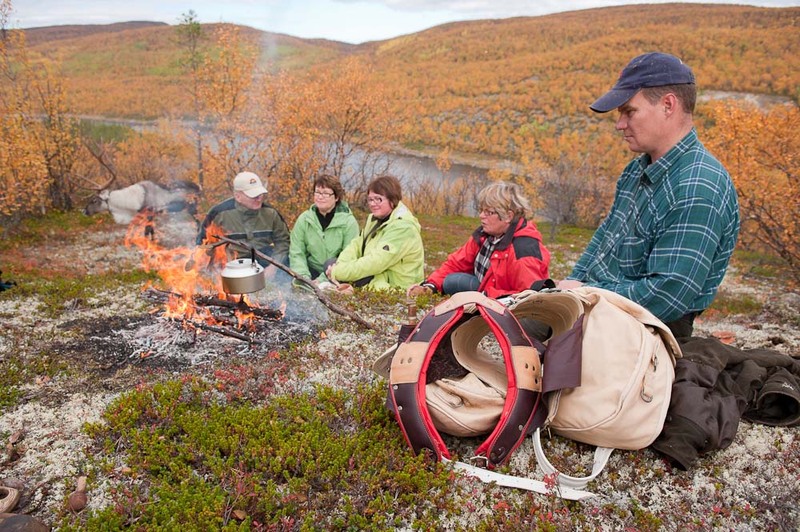 From there, you will be transported to Holiday Village Valle in Utsjoki (distance of 170 kilometres, approx. a 2-hour ride). 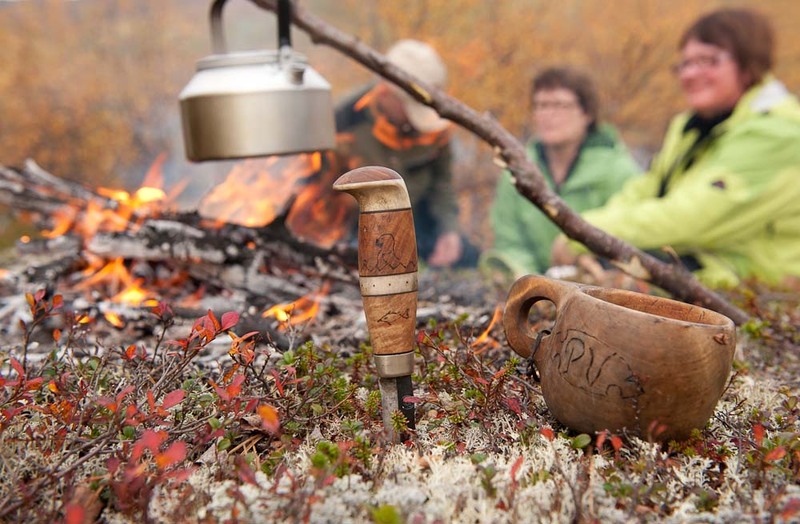 A Sámi host will welcome you, show you around the holiday village and brief you on the programme for the following days. Once you are all set, you will be shown to your double rooms, followed by a dinner at the restaurant. After a hearty breakfast, we will meet our local guide who will explain the programme for the day. 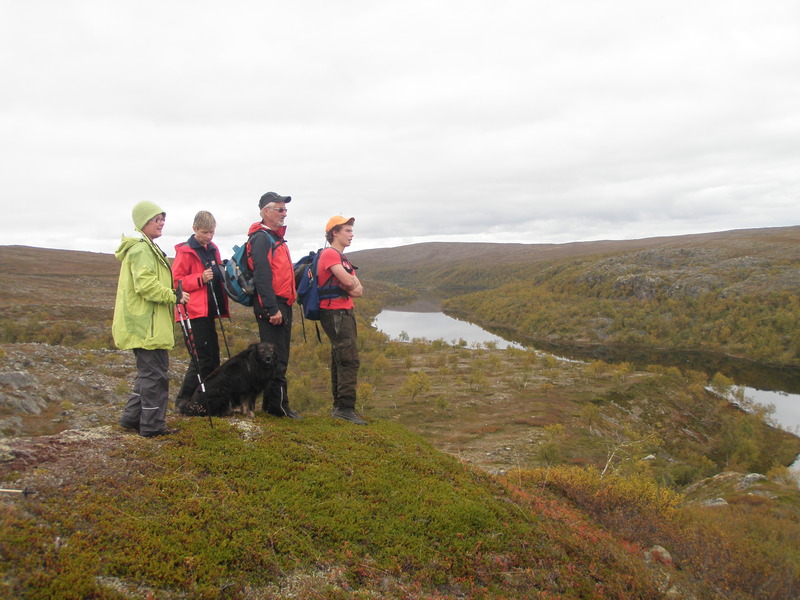 Next, we will head out to the surrounding area along the Ellinpolku Trail. The Ellinpolku Trail winds through an area scattered with historical relics. After about one kilometre, the trail comes to a steep cliff with a breathtaking view over Ellinkuolpuna fell and the nearby fells, with visibility all the way to Rastikaisa in Norway. From the observation deck, stairs lead down to Ellinkuolpuna fell. We will continue through Kuolpuna to the shore of the Aittikoski rapids along the River Tenojoki. 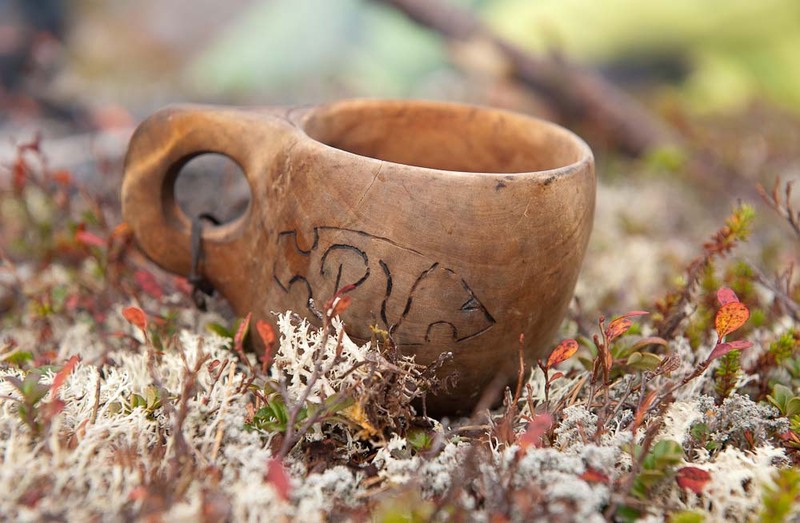 During the trip, we will also encounter traditional deer traps. There are over 50 traps near the holiday village. We will enjoy a packed lunch outside or, in case of rain, in a shelter near the shore. Our day trip concludes with a hike to the Valle reindeer farm where we can familiarize ourselves with and pat the reindeer. Our guide will explain the annual cycle of reindeer while the group gets to feed and photograph reindeer. Finally, we will hike back to the Holiday Village. Free time. Dinner at the holiday village restaurant. The length of the hike is around 4 km and level of difficulty: easy. Departure point at: 69 55.5707 N, 26 59.9394 E, we visit at 69 56.2279 N, 26 58.2801 E. End point at the same place as departure. After the breakfast, we will take a car ride to the nearby Utsjoki church cottages. We will explore the historically significant church structures before starting our hike along an old post route. 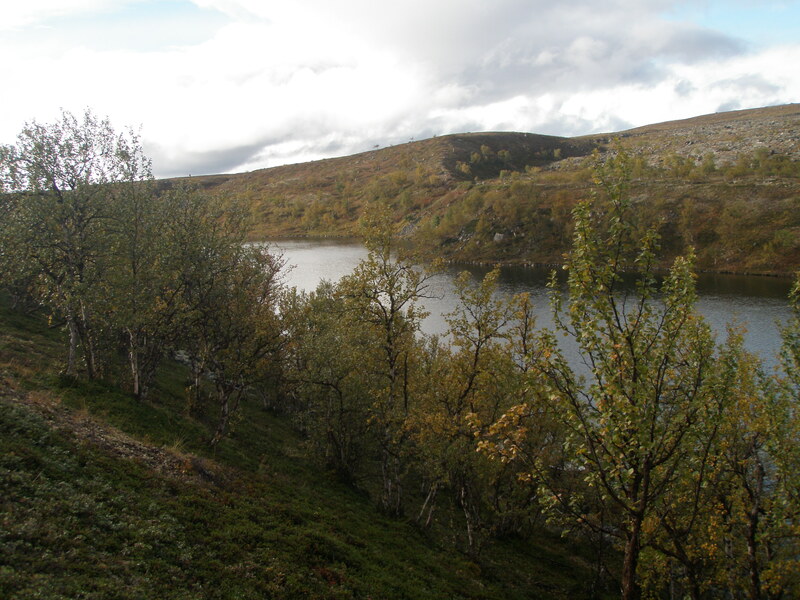 The post route, winding from Utsjoki to Inari, was used from the late 1900s to the 1950s. Post was delivered to Utsjoki by foot, rowboat, horse, reindeer or skis. Our hike will begin near the church where the post route leads up to the fell. We will walk along the path toward the holiday village, taking in the breathtaking fell scenery as we go. During the trip, our guide will describe the traditional means of transportation and the paths that were used long before post was even being delivered. We will enjoy a packed lunch during the day. The length of the hike is approximately 10 kilometres. Our trip will conclude at the Holiday Village. Free time. Dinner at the holiday village restaurant. Departure GPS point at: 69 51.7176 N, 27 0.3222 E. End point at Holiday Village Valle at 69 55.5707 N, 26 59.9394 E.
After the breakfast, we will take a car ride to Skalluvaara. Once there, we will first explore a reindeer round-up site. Next, we will start our wilderness hike toward the Ailigas Fell. The terrain is fairly passable. After a gentle uphill, the fell terrain is quite level. Halfway there, we will enjoy a packed lunch in the open fell, near a wilderness stream. The trip will conclude below the Ailigas Fell. From there, we will return to the Holiday Village by car. 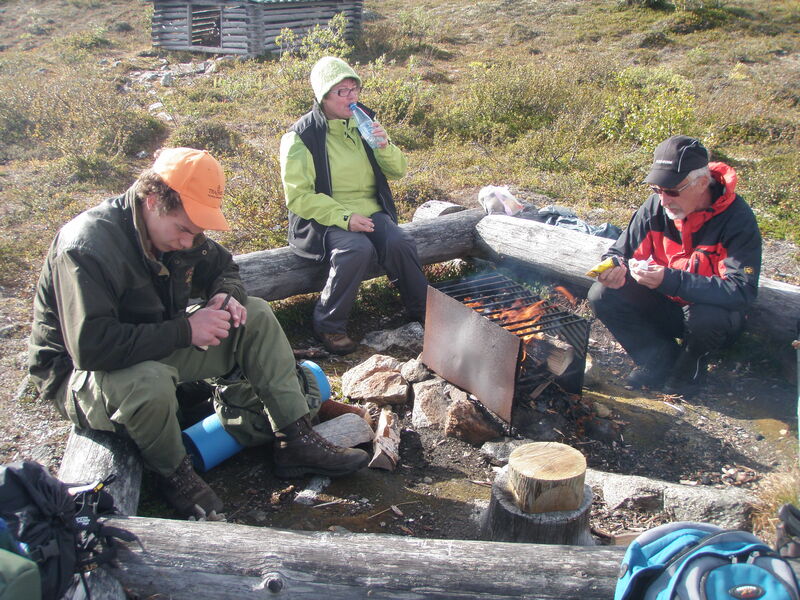 During the day, we will hike approximately 8-10 kilometres within 4-6 hours. Free time after the trip. Dinner at the holiday village restaurant. Departure at GPS point: 69 49.1262 N, 27 08.9423 E, End point at: 69 53.7427 N, 27 03.9114 E.
Free time after the breakfast. You can relax and enjoy the peace and quiet. Or, you can take your own hike in the nearby surroundings. Feel free to ask the guide for available additional trips. Lunch and dinner at the Restaurant Deatnu. After the breakfast, it is time to vacate the rooms and say goodbye to the guides and hosts. The group is then transported back to the Ivalo airport. The programme is well suited for anyone with normal fitness and mobility. Hiking routes level of difficulty from easy to medium. 27 August-1 September / 03-08 September 2018. Transportation from Ivalo airport to Utsjoki and back. 5 nights at Holiday Village Valle in double rooms equipped with bathrooms/showers. Meals and activities according to the programme. A local English-speaking guide. Required equipment: The guests are expected to bring their own equipment: good and sturdy, preferably worn hiking boots and wind-proof outdoor sportswear. Here in the arctic area, the average temperature during the summer is approximately +9 Celsius. However, the temperature may rise to +20 Celsius and above. Therefore, you should prepare for both warmer and colder days. You can also come to Utsjoki by your own car. In this case, please request a programme price that excludes transportation from the airport. Mobile phones: Please note that cellular network coverage is not 100% on the hiking areas. We are also very close to the Norwegian border so your mobile phone may switch into Norwegian mobile phone network. Please adjust your mobile phone roaming settings accordingly to avoid any extra costs. 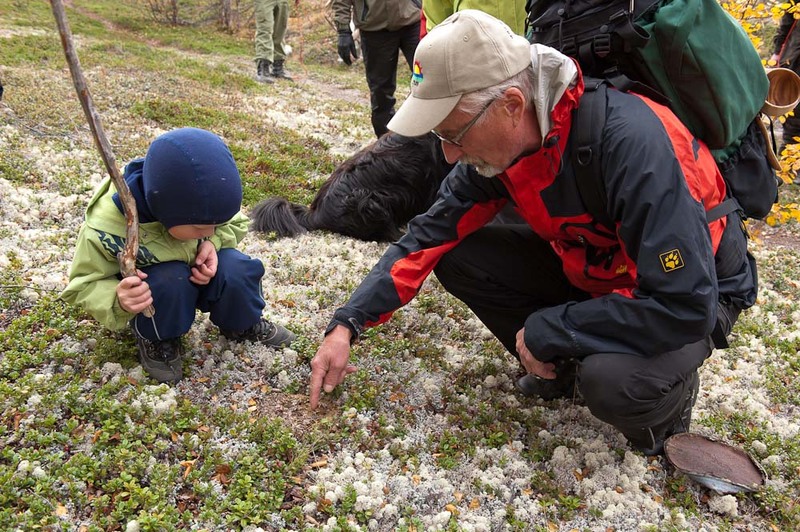 Depending on the season, we can pick up berries and mushroom during the trips. Our guide will explain how they are used as food by the locals. Later, we can get together and prepare tasters for the entire group or ask the kitchen staff to prepare some local delicacies for dinner. You can also continue your stay at Holiday Village Valle and take your own trips to the surroundings. The spectacular nature along the River Tenojoki is a sight to behold. We keep us the right to change the order of the daily activities.